You Asked, We Delivered — Attach Photos Now! We love releasing new features, especially ones that have been a long time coming. But even when we have a feature we can’t wait to get out, it’s important to us that we vet it fully to make sure the feature we release is the one we were inspired to create. Part of that vetting process is working with beta testers. These (much appreciated) guinea pigs give us a better idea of what we’re doing right, what needs to change, and whether or not we’re on the path to rolling out a hit. Well, ladies and gentlemen, we’re finally there! And the feature we’re making available to all of you is the ability to add photos to timesheets! That’s an unlimited number of photos. We’re super excited to be bringing this feature to you — a No. 1 customer request. You may remember a blog we wrote back in December, laying out this feature and how we thought companies could benefit from it. At that point, we were looking for beta testers to see if the solution we’d built out was effective. And it was! We received a lot of positive feedback from our beta testers — feedback we’re excited to share with you today! Wondering if you should give this new feature a try? Check out these testimonials, straight from the horse’s mouth. We know change isn’t always easy, even if it’s making use of a feature you’ve been dying to use. That’s why we’ve created this helpful how-to document that will lead you through the process of attaching and viewing photos on timesheets. Need something a little more visual? Check out this video for more hands-on coaching. So … tell us truly. Did we nail it? If you haven’t yet had a chance to check out the brand-new photo attachment feature in TSheets, there’s no time like the present! Let us know what you think. And after you’ve had a chance to add timesheet photos to your TSheets routine, tell us what other features you’d like to see in your TSheets app! Ready to start tracking time? 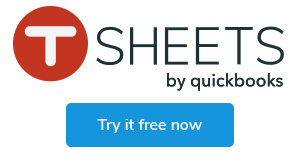 Track accurate-to-the-second time, attach photos to timesheets, and more with TSheets — free for 14 days!